EJ is livid when Will confesses that Stefano forced him to make sure Rafe found out EJ and Sami slept together. Stefano blackmailed Will, knowing he shot EJ. EJ rips into Will for betraying him, then confronts Stefano for causing him to lose Nicole. Stefano insists Nicole isn’t any good for EJ, but also argues that EJ shouldn’t blame him. Ultimately it was EJ’s mistake in sleeping with Sami that led to Nicole breaking it off with him. He questions if EJ is in denial about his feelings for Sami. Now that Stefano knows EJ is not his son, however, he claims EJ’s love life is immaterial to him. EJ argues Stefano’s interference has cost him Nicole and his child. Since Stefano has destroyed his life, EJ warns he will destroy him in return. Stefano speaks with the grandson of Santo’s family jeweler. Stefano demands the jeweler search his grandfather’s records for information about what is on the other half of the coin and what the code means. Lexie’s condition continues to deteriorate, but she puts on a brave front for Abe, Bo and Hope. Privately, Abe admits to Bo and Hope how anguished he is at the prospect of losing Lexie, and he makes an ominous threat against Stefano for causing her condition. Lexie shares emotional moments with her friends, essentially saying goodbye. Once they leave, Abe realizes that his wife is barely holding it together. Lexie reveals her health is going downhill faster than she expected. After their visit with Lexie, Hope and Bo agree with Abe that Stefano must be held accountable. In private, Bo takes out a secret gun. Austin is elated over the news that Carrie is pregnant, but she and Rafe are deeply shaken. Once alone, Rafe and Carrie come to the mutual realization that the baby means they can’t possibly be together. They share a heartbreaking, emotional farewell. Nicole supports Rafe as best she can, but it’s clear his world has been turned upside down. Abigail is jealous when she hears Cameron making plans with another woman. It turns out to be a patient of Lexie’s. Abigail admires Cameron for trying to fill the void for his sister’s patients. Cameron can’t help wondering why Abigail isn’t already dating someone. Without going into specifics, Abigail admits she made some terrible mistakes. Cameron appreciates her honesty. They end their date with a sweet kiss. Jack and Jennifer celebrate their anniversary, happy to have overcome all obstacles. They share their day with Abigail, who also ropes Cameron into the celebration. He endears himself to mom and dad, showing real potential as a suitor for their daughter. Jack and Jennifer later spend quality time alone together, reminiscing about the ups and downs that brought them to where they are today. Cameron gets called back to one of Lexie’s patients but doesn’t leave without securing another date with Abigail, who is beyond pleased to be seeing him again. It’s an emotionally gut-wrenching day for Lexie and EJ, who both know this might be one of the last times they see each other. Underlying all is EJ’s newfound truth that he’s not Stefano’s son. He doesn’t tell Lexie at first and when she asks him the huge favor of giving up his mayoral seat for Abe, she doesn’t understand when he says it’s all he’s got. She reminds him he carries the DiMera name, under which so much more can be done. Finally, and because he knows Lexie is the only person he can trust, EJ explains why he can’t use the DiMera name. He isn’t Stefano’s son. As Lexie processes this news, EJ fears he’ll lose her as his sister, but when she sees his fear, she rushes to reassure they’re not tied by blood but by hearts and souls and promises she will never leave him – even after death. Still, EJ can’t bring himself to grant the favor of giving Abe his mayoral seat and Lexie assures she won’t hold it against him. Anxious Will is still trying to find EJ, worried about what he’ll do now that he knows Stefano enlisted him to break up him and Nicole. Instead of finding EJ, however, Will finds his mother. She wants to mend fences after their last conversation in which Will came out. Sami begs him to hear her out. He does and Sami surprises him by her blanket acceptance of who he is. Just when it looks like they might be able to move on from their past, Will admits she might not be as accepting of him once she finds out he’s responsible for the destruction of her marriage to Rafe. Sami doesn’t see how that’s possible until Will admits he made sure Rafe found out she slept with EJ. Nicole and Rafe arrive at Daniel’s office for the paternity test EJ ordered. Nicole is all nerves as she wonders aloud if there’s any way to change the results. 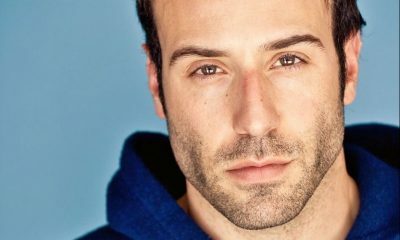 Daniel balks at the risk of his medical license. Agitated EJ arrives, demanding the test be done immediately. His behavior reminds Nicole exactly why she doesn’t want him in her child’s life. Later, Nicole takes matters into her own hands and changes the labels on the DNA samples. She’s almost finished doing so when Daniel returns to his office and sees her at his desk. Sami is stunned speechless off Will’s admission that he was the one who made sure Rafe found out she slept with EJ, but she doesn’t blame her son completely. She feels he was manipulated by Stefano. When Will makes it clear he’s more worried about how he hurt EJ than that he hurt his own mother, however, Sami loses it. Will leaves to track down EJ. Unfortunately for him, EJ is in no mood for his apologies and ends up stripping his protégé of everything he gave him, leaving Will devastated. Will arranges to buy a gun and realizes how desperate he feels. At the same time, Sami commiserates with Rafe about how her own son chose someone else’s side over hers. Despite her betrayal, Rafe feels for Sami. He speaks to their broken relationship, as well as hers with Will, when he suggests Sami think about the fallout before she acts in the moment next time. Lexie and Stefano share what are very likely their last moments together. EJ runs into Abe and informs him of Lexie’s request to have him step down as mayor so Abe could have his old job back. Abe makes it clear, even if EJ were to comply (and he knows he wouldn’t), he wouldn’t accept anything from a DiMera. Off this, Abe heads home to find an emotional Stefano lingering as Lexie rests in the next room. They have words and Abe lambastes Stefano for his part in Lexie’s illness. Stefano is wracked with guilt and assures Abe he hates that he had anything to do with it – just in time for Lexie to hear. Horrified Stefano shares a look with his daughter, who walks out of the room. Stefano leaves to grieve his loss and guilt alone while Abe comforts Lexie. Lucas runs into EJ, who informs him he fired his son. Meanwhile, in a seedy part of town, Will obtains a gun. Gabi almost catches him with it. Will walks her back to a better area, then braces himself to take action against Stefano. 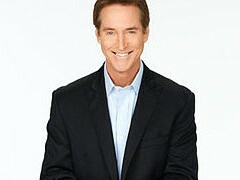 Will runs into Marlena and reveals EJ fired him because of what Stefano made him do. Marlena presses Will about why he would do Stefano’s bidding. He admits Stefano was blackmailing him, but doesn’t go into the specifics. Later, Will runs into Lucas and drops the bag with the gun. Lucas demands to know what Will is doing with a gun. Stefano laments Alexandra’s imminent death and his role in it. He gets a call regarding his father’s coin. He intends to continue the investigation himself. EJ arrives, brandishing proof Stefano was in fact responsible for the gases in the tunnel that led to Lexie’s illness. Stefano reveals Lexie already knows. She overheard Abe reaming him out over this. It kills Stefano that Lexie knows he’s responsible. EJ argues Stefano deserves every ounce of pain he gets. A heated confrontation builds, in which EJ tells Stefano it’s terribly wrong that someone as good as Lexie should be dying because of Stefano. EJ wants to honor the promise he made to her to look after the family. He doesn’t want Chad and Theo to suffer the way he and Lexie have suffered because of Stefano … and then EJ pulls out a gun. Roman warns Bo, Hope, John and Marlena not to try to bring Stefano down on their own because it’s against the law. They reassure Roman, but then privately, John, Bo, Hope and Marlena ready their weapons, clearly intent upon killing Stefano. Abigail tells Chad and Melanie she thinks it’s odd they are never with Gabi when she’s contacted by her stalker. She thinks it’s possible Gabi is making up the stalker to get Chad’s attention. Chad doesn’t believe this, while Melanie is on the fence. At the same time, Gabi hires a photographer’s assistant named Andrew to be her stalker. She calls Chad to say she’s being followed. Chad shows up and chases away the “stalker.” Chad, Melanie and Abigail realize the stalker is real, not someone Gabi made up. Daniel catches Nicole red-handed switching the paternity test. Nicole admits she’s not thinking clearly knowing tomorrow EJ will know the truth. Vulnerable, she opens up to Daniel about how tough her life has been, dealing with this alone. Daniel understands, having felt alone after he lost Jennifer. They come together in a surprising kiss that builds in passion. They are interrupted when the lab calls, asking for the test samples. Daniel takes them. Both Nicole and Daniel are surprised by their unexpected connection. John, Marlena, Bo and Hope have all gone their separate ways and now each has a gun, struggling with the notion that the only way to finally defeat Stefano may be to end his life. At the same time, EJ faces down Stefano with a gun of his own. Though Stefano taunts him, EJ finds he cannot pull the trigger. Stefano is next confronted by Abe, who is consumed with anger and hatred for what is happening to Lexie. Abe realizes that to pull the trigger and shoot Stefano in cold blood would be to become no better than Stefano himself. Stefano laughs, telling Abe he is a weak man. Abe leaves his gun behind in Stefano’s home, wanting nothing anything to do with it or its temptations. Kate is working late with Ian when she receives not only divorce papers from Stefano but also a letter revealing he intends to invoke legal means to keep her from working at Titan. She shakes with rage, pushed to the edge … and once she’s alone, she pulls out a gun. Lucas has found Will with a gun. Shocked, Lucas demands to know what his son is doing with it. Will covers, claiming it belongs to EJ. 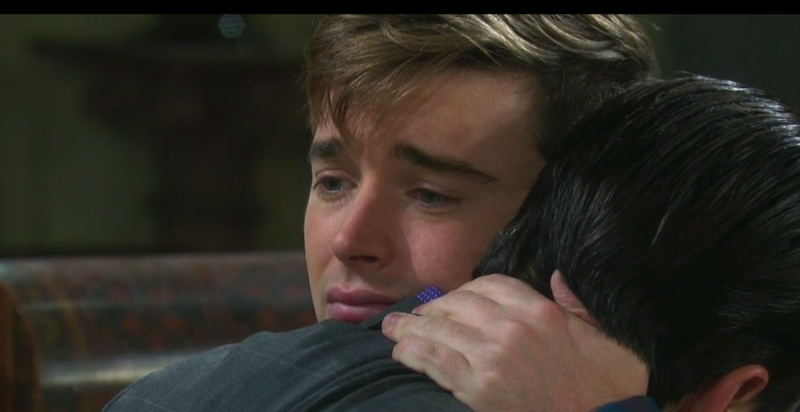 Lucas takes it from Will and leaves to lock it up until it can be returned to EJ. Will storms off, frustrated and unpredictable. One by one, Stefano receives a visit from each of his tormented adversaries and he reminds them he’s won before and will do so again. He intends to stick around for a long time and enjoy their misery. Where before John, Marlena, Bo, Hope, Abe, Kate, Will and EJ were struggling with the idea of murder, it now seems they may have no choice. As a storm rages outside the mansion, Stefano celebrates his victory with a cigar and brandy, enjoying his favorite opera. And that’s when a figure enters from behind, picks up Abe’s gun … and fires! 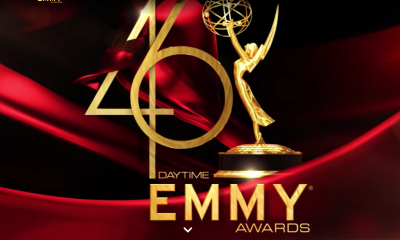 On Thursday’s episode of NBC’s Days of our Lives, tears were shed not only by the characters on the screen, but by the audience at home … plenty of them if you have been checking out social media since this installment aired. 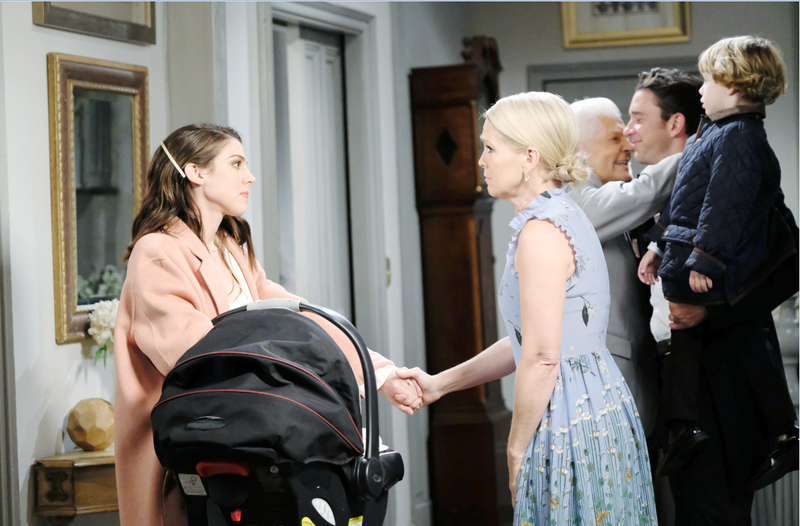 For in it, viewers had to say goodbye to Chad (Billy Flynn) and Abby (Kate Mansi) as they left Salem to start their new life with their children in Paris. However, before they make their exit, Chabby fans finally get to see their favorite duo tie the knot in a heartfelt and touching ceremony right in the Horton family living room. While it was spur of the moment, it could not have been more poignant. Leave it to Julie (Susan Seaforth Hayes) to officially preside over the nuptials, JJ (Casey Moss) to play his guitar while his sister walked down the living room aisle to her man, and even Jack (Matt Ashford) showed up to do the right thing to be there for his daughter. They exchange rings and Julie pronounces them husband and wife. But this happy moment is also bittersweet when Chad says, “We hate to marry and run.” Chabby has a plane to catch to take them to Paris. Chad looks around the room and at all the special people in his life, and tells the group how special they all are to him. In that scene, it definitely gave the feels that it was also Billy Flynn saying farewell to his castmates. Of course … before they leave town Chad and Abby visit Stefan (Tyler Christopher) and Gabi(Camila Banus)is there. They give them the news that they are leaving for France and are married. In a moment alone between Abby and Stefan, he apologizes to her. Stefan notes how much he loved the other part of her (Gabby with a “Y”) and knows that she loved him too. Abby says, “I know”. Meanwhile, Chad says goodbye to the portrait of his father, Stefano vowing to be back someday. 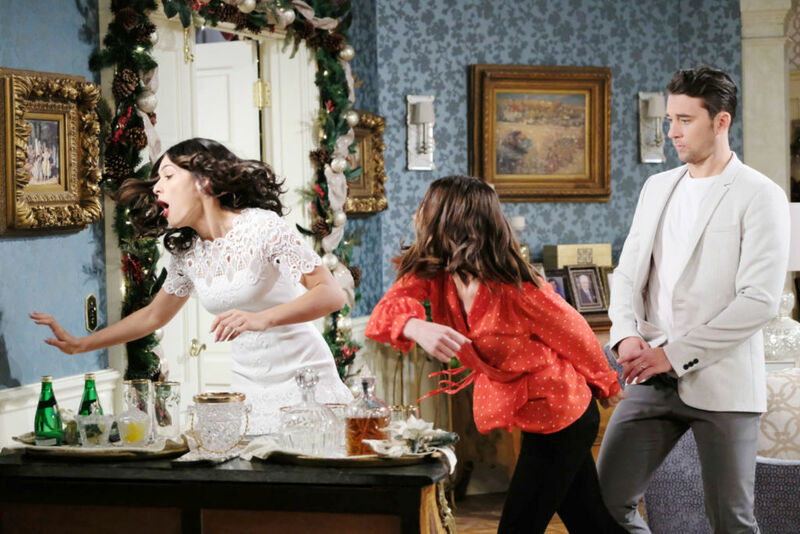 After Chabby exit the DiMera mansion, Stefan has a meltdown and throws the chest board while Chloe (Nadia Bjorlin) walks in on the scene. 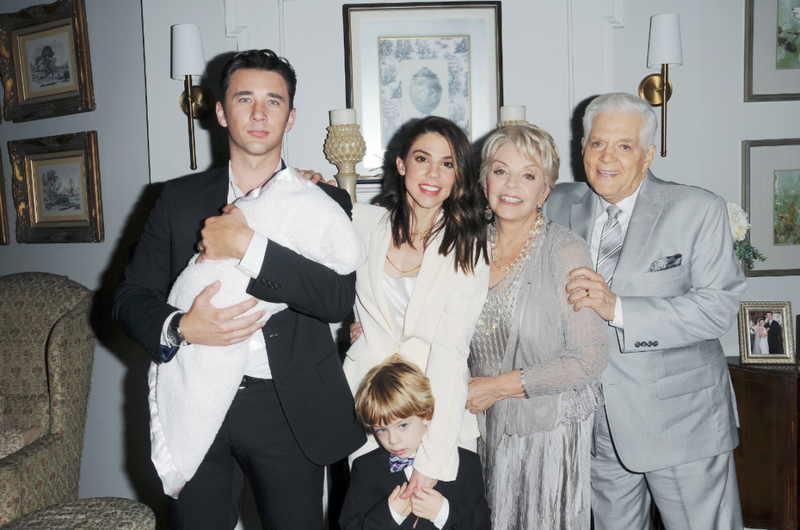 And finally, in the 10-hankie moment beautifully played by Billy Flynn, Kate Mansi and Melissa Reeves (Jennifer), Chad and Abby at the Horton house to say their final goodbyes to Doug (Bill Hayes) and Julie, Jack, JJ, and Jennifer. Abigail tells her mother to never give up on her dad. Chad is in tears as Jennifer tells him she will miss him, He says, “I will miss you, too”. It was in that moment that any of us that have ever had to say goodbye to our families and move far away from them, or come back to visit them and then leave again, can relate. Saying goodbye is often heartbreaking when you leave behind the ones you love. But, Chad and Abby got their happy ending … for now. However,t his is a soap opera, so you never know how long happiness will last, or when they might be back in Salem. Kudos to the performances of Billy Flynn, so raw and real, and Kate Mansi playing Abigail with depth and dignity to wrap up the story. So, what did you think of the Chabby goodbye? Share your thoughts via the comment section below. This week was a whirlwind for the character of Abigail Deveraux (Kate Mansi) on Days of our Lives. On Christmas Eve, she shows up at the annual Christmas Ornament hanging at the Hortons with her daughter, Charlotte in tow. When she gets there, she has a few choice words for her mother, Jennifer (Melissa Reeves). In addition, Mansi was pretending to be “Gabby” with a Y, the alter that fell for Stefan (Tyler Christopher) in an effort to get her freedom, and she did it. She hands the guy divorce papers as a Christmas present, throws off her wig, shocking him that he was the one being played. She is not sick. She is herself, Abigail and she is leaving him and taking their baby with her. Later, when Julie (Susan Seaforth Hayes) remembers that she saw the DNA results proving that Chad (Billy Flynn) is the father of Charlotte, not Stefan, it is a triumphant moment for Abigail, yet a stinger, because she realizes the lengths her supposed “friend” Gabi went to for her revenge plot against her. Eventually, Abby reunites Charlotte with her real bio-dad, Chad. 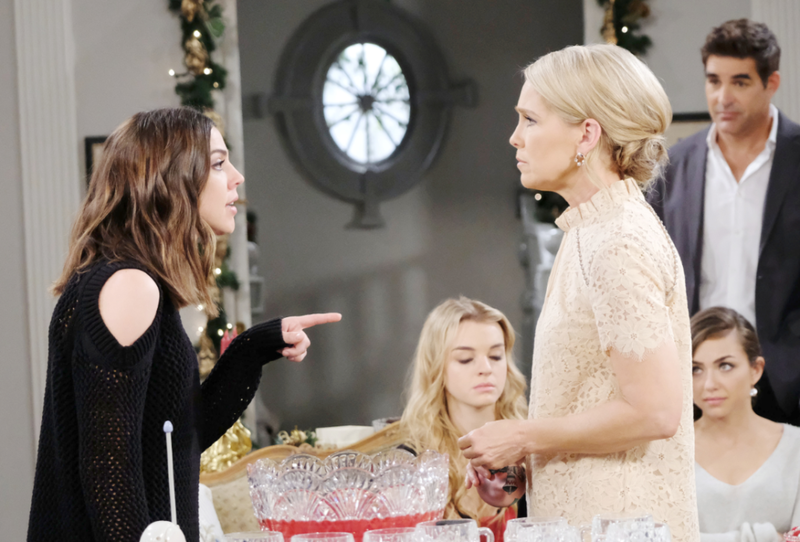 And for good measure, after the truth is finally out, and Abigail proves that she is of sound mind and body, she clocks Gabi for her deception right in front of Chad. Let us know what you thought of Kate’s performance, what was your favorite moment in it, and how the week unraveled for Abby, Gsbi, Stefan, Chad, Jennifer, and Julie in the comment section below.